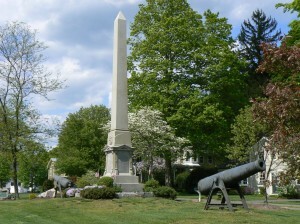 An 1871 obelisk and two cannons on Woodbury’s South Green honor the sacrifice of local residents killed in the Civil War. 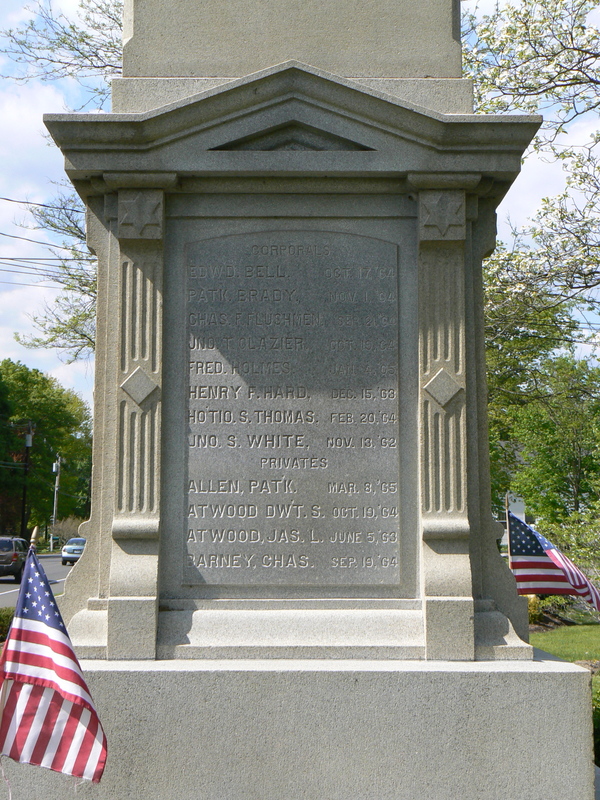 The understated design of the monument predates the popularity of adding figures to the tops of Civil War monuments, and the Woodbury monument is similar to obelisks erected in North Branford and Northfield (both of which were dedicated in 1866). 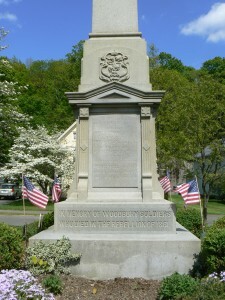 The front (west) face of the monument bears the dedication “in memory of Woodbury soldiers who died in the rebellion of 1861,” as well as the names, ranks and dates of death of eight local residents killed in the conflict. 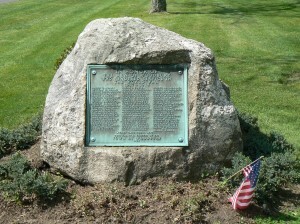 The south face lists 12 names, while the east and north faces both list 13 names. The front face also bears the seal of the state of Connecticut, and the names on all four faces are surrounded by an ornamental border. The monument’s architect, Robert W. Hill, also designed the state armory in Waterbury, the Thomaston Opera House and the Winchester Soldiers’ Monument. 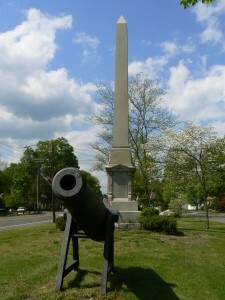 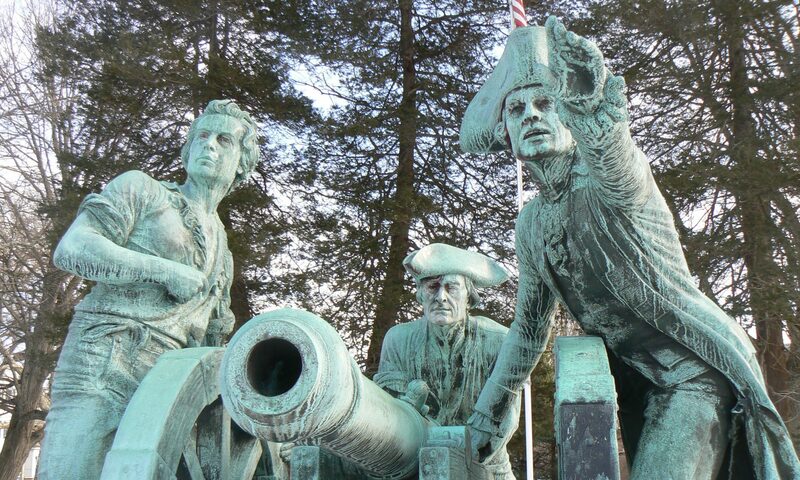 The cannons, whose markings are difficult to discern, were added to the green well after the monument was dedicated. Plaques on three boulders north of the Civil War monument honor local residents who served in the World War. 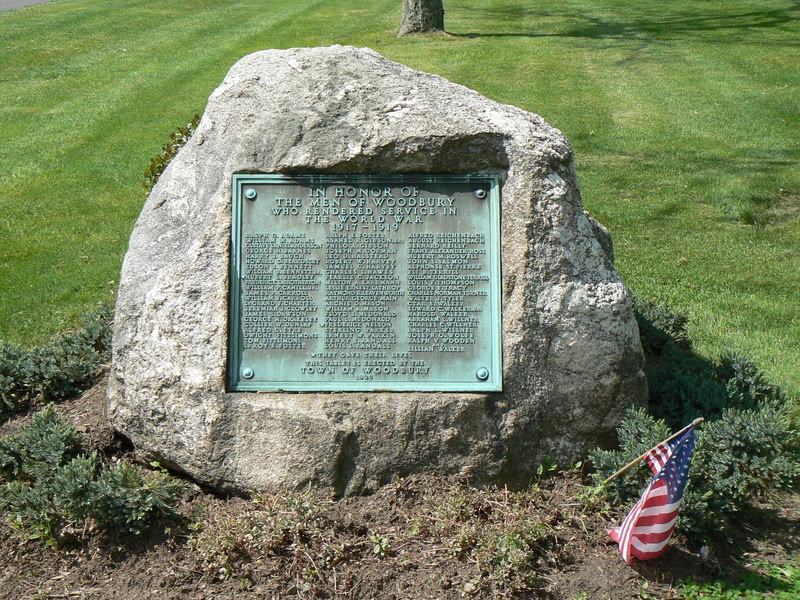 Near the tips of the green, a boulder honoring World War I veterans lists the names of 65 men and one woman, and indicates that two men were killed in the conflict. 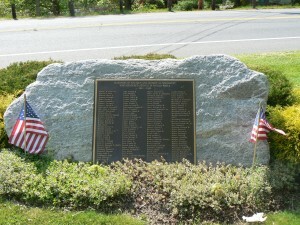 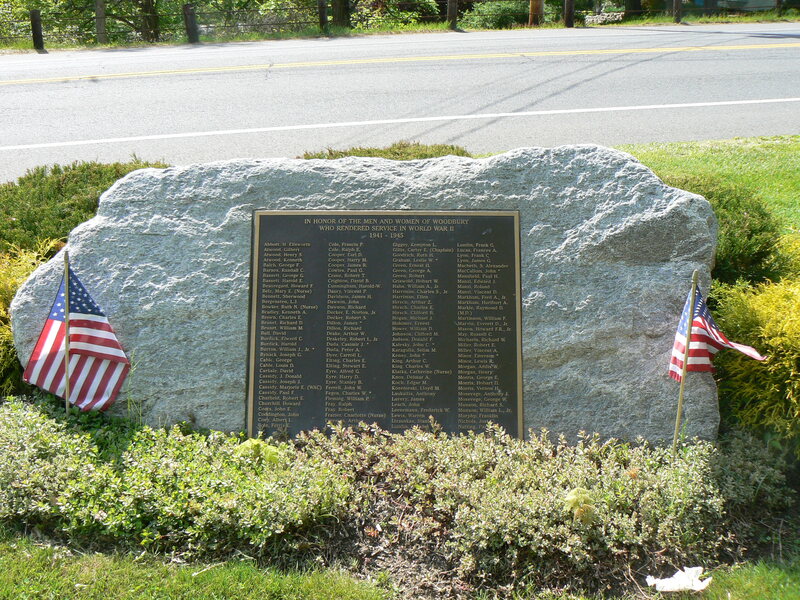 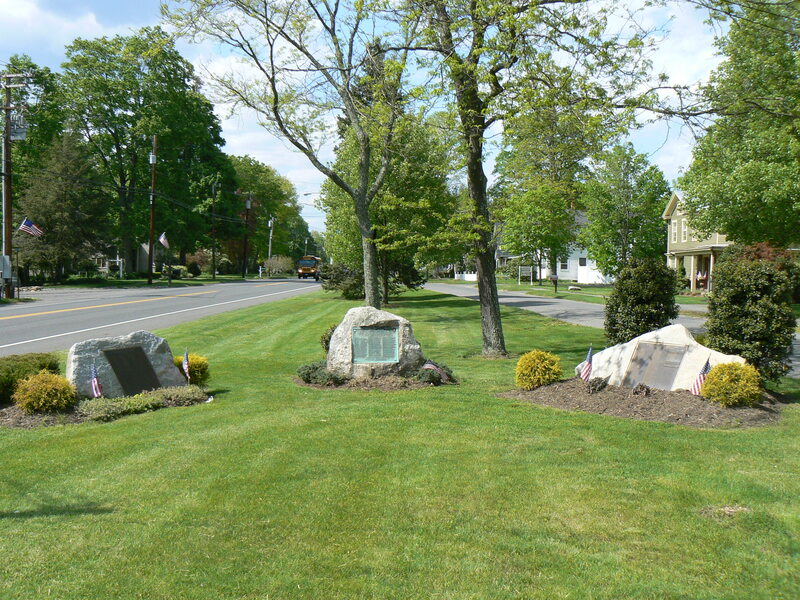 The World War monument is flanked by two boulders bearing plaques listing the names of men and women who served in World War II, including about a dozen residents who died in the war.